The Reserve Store concept could expand to 1,000 locations. Sure, you may love getting your Starbucks coffee fix as an early-morning wake-up, mid-morning ramp up, or post-lunch pick-me-up, but what about after work? 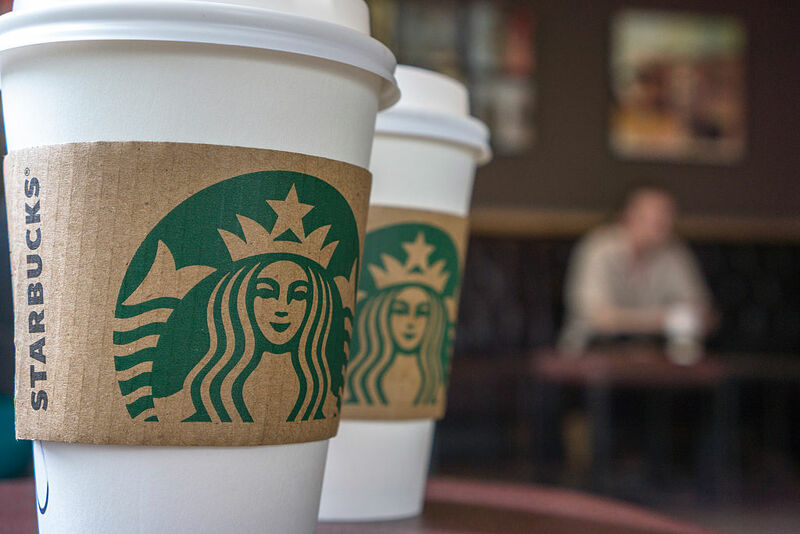 Unless you’re a decaf aficionado or just really into herbal tea (and there’s nothing wrong with either of those) Starbucks has had a hard time reeling you in after 4 p.m. But piggybacking off of the chain’s handful of sophisticated Reserve Roasteries opening worldwide is a concept that may change all that. 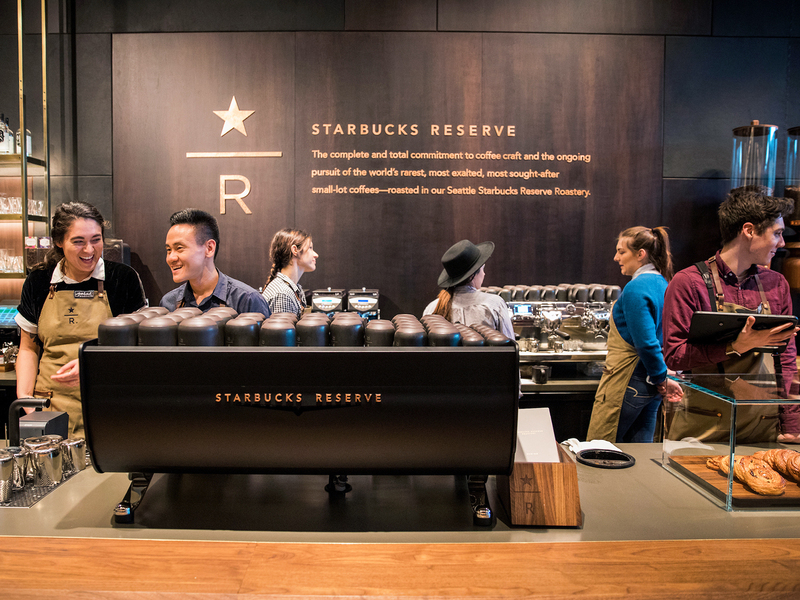 Today, Starbucks opened its first Reserve Store in Seattle (located, conveniently, on the main floor of Starbucks Headquarters, 2401 Utah Ave South, Seattle, WA 98134) and yes, it serves drinks. The alcohol kind. If Starbucks slinging drinks that aren’t coffee or tea sounds familiar, that’s because the chain had been experimenting with an Evenings program which put beer and wine on the menu in certain locations in the afternoons. According to a representative from Starbucks, in the Reserve Stores, that promotion will be “reimagined as a premium beer, wine and spirits experience.” What spirits? To start, you'll be able to grab a cocktail like an Aperol Spritz, Milano Torino, and Negroni Sbagliato (though, no, you probably can’t order a Venti Spritz to-go). Why the Italian Aperitivo menu? To go with the Italian food, of course! 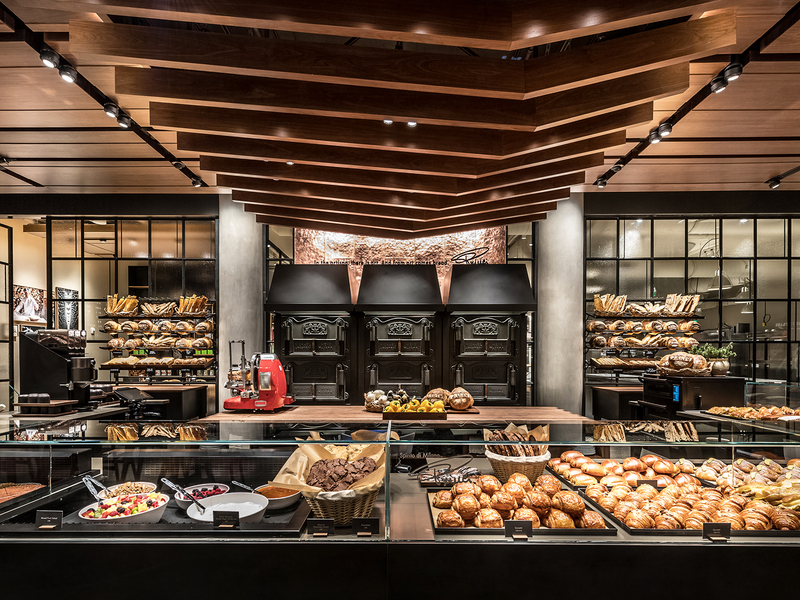 The Seattle location’s kitchen is supplied by Rocco Princi’s Princi Bakery which recently teamed up with Starbucks to supply fresh Milanese-style baked goods like breads, pastries, and pizza to its Reserve locations, along with a deal to open standalone Princi shops around the world. Also on tap, other than booze, will be a Nitro Draft Latte and Spiced Ginger Cold Brew, as well as the rest of the full Reserve menu currently featured at Roastery locations. And if you’re used to the usual Starbucks look and feel, then alcohol offerings aren’t the only thing that’s changing. 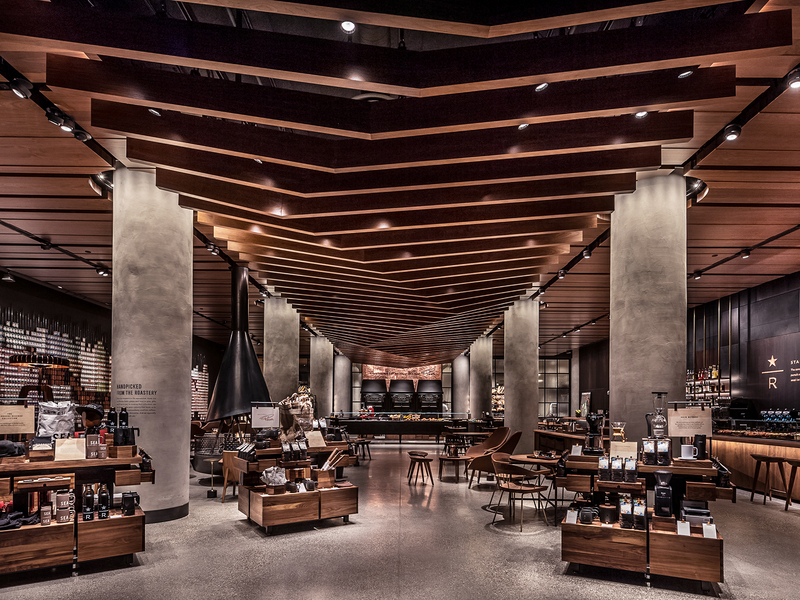 The Seattle Reserve Store features an elegant-looking wood-themed interior and "marketplace" layout that speaks to the more refined coffee menu as well as its role as an evening cocktails and small bites hangout. If you’re wondering just when you’ll be able to wander into your own Starbucks Reserve Store watering hold after a hard day at the office, it will take some time. Reserve Roasteries, which serve as the de facto hub for all Reserve and Princi operations, are set to open in New York and Milan within the next year, and Chicago and Tokyo in 2019. It’d be a safe bet to assume Reserve Stores will be springing up in those cities and the surrounding areas soon after, as a representative tells us the next Reserve locations will be coming to New York and Chicago.